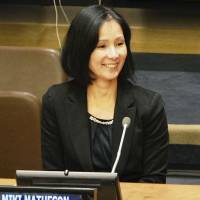 NEW YORK - Miki Matheson, a three-time Paralympic gold medalist for Japan, has addressed the United Nations, urging the international community to work harder to reach out to people with disabilities. The Tokyo native explained on Thursday how roughly 20 years ago a car accident left her wheelchair bound, dramatically altering her life. After sustaining a spinal cord injury, she went on to become an ice sledge speed racer, eventually making a name for herself in the 1998 Winter Paralympics in Nagano. She won three golds and a silver medal. “The most shocking thing after my accident was when I realized how differently society viewed and treated persons with disabilities,” the 42-year-old said on the International Day of Persons with Disabilities. “When the use of my leg was taken away, lots of abilities, experiences, opportunities and dignity were also taken away from me,” she added, noting that an accident or illness can disable anyone instantly and permanently. “While we have made great strides towards creating an inclusive and accessible world, our work is never ending,” she said, adding that an ideal society would enable people of all abilities to participate and contribute as productive members of their communities. 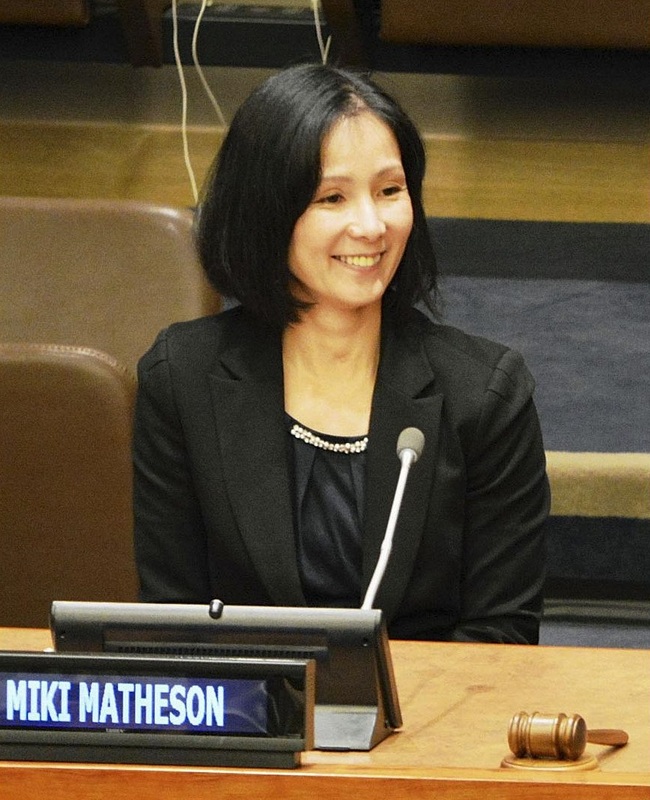 Matheson appeared on a panel, along with U.N. Secretary-General Ban Ki-moon and other advocates, at the forum on the day that has been marked annually since 1992 to generate support for people with disabilities and promote a more inclusive and accessible society. She currently lives in Canada, with her two children and husband, Shawn, who himself was a gold medal-winning ice sledge hockey player in multiple Paralympics. As a mother with a disability, she described the physical, social, economic and other challenges she faces. Matheson also spoke of her enthusiasm for her hometown, which is hosting the summer Olympics and Paralympics in 2020 with the expectation that it will make new inroads.